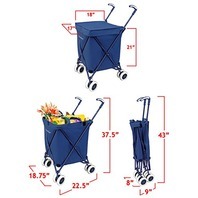 Imagine the load this sturdy, easy-rolling folding cart will take off you and your back. 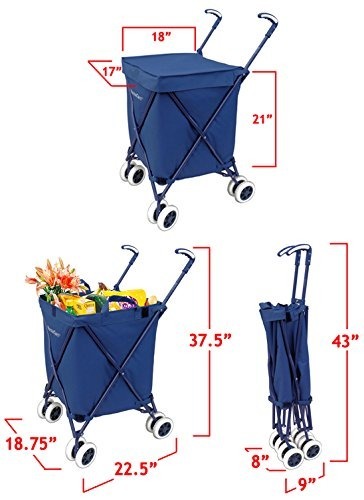 Lightweight at only 9 lbs, the patented original Versacart folding cart easily handles 120 lb of cargo and then some, yet folds up in a snap for compact storage in your trunk or closet. 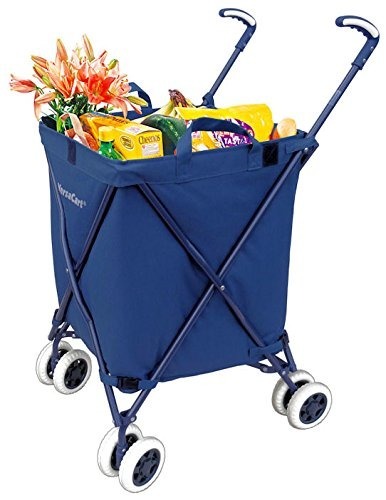 Use it for grocery, shopping, laundry, picnics, camping and so much more. The extra large detachable polyblend canvas bag measures 21inH x 17inW x 18inD for a generous 3.72 cu ft capacity. The bag has handles, a fitted cover and is coated for water-resistance. 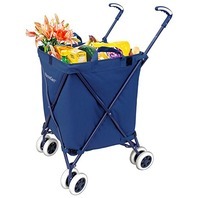 Features thick ergonomic easy-grip handles and double wheels all around for maneuverability and stability. No assembly tools required. 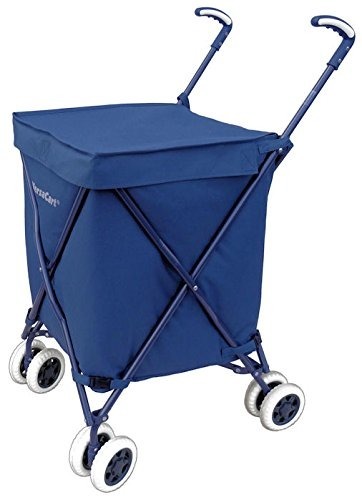 Simply pop in the swiveling front wheels and you're ready to roll. Forget those flimsy chicken-wire carts of yore. 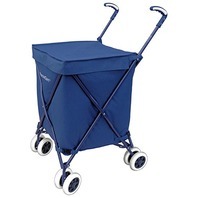 The patented Versacart is simply the best-value best-looking folding cart available.